3. 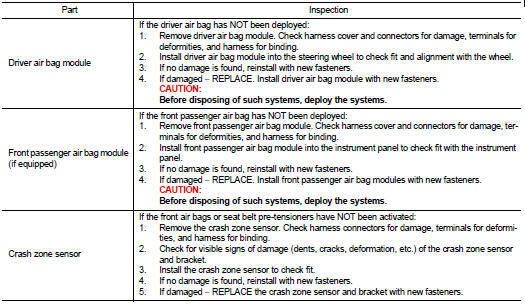 Perform self-diagnosis using CONSULT-III or air bag warning lamp. Refer to SRC-12, "Description" for details. Ensure entire SRS operates properly. 4. 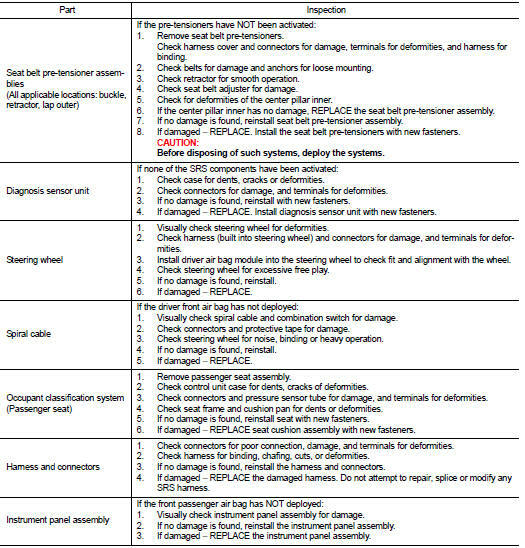 After the work is completed, perform self-diagnosis to check that no malfunction is detected. Refer to SRC-12, "Description".